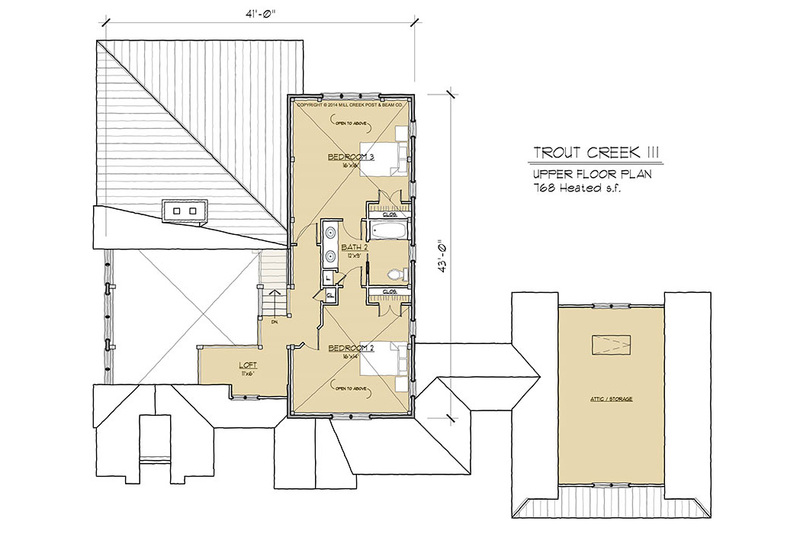 The Trout Creek III is a compact cottage design and efficient floor plan that features dramatic space and reveals itself gradually. From a timbered porch, guests are introduced to the timber frame in the flat ceiling entry. The heavy timbers are impressive, but it is not until turning to enter the great room that your guests will experience the stunning effect of a cathedral ceiling and an expansive window wall to the outdoors. 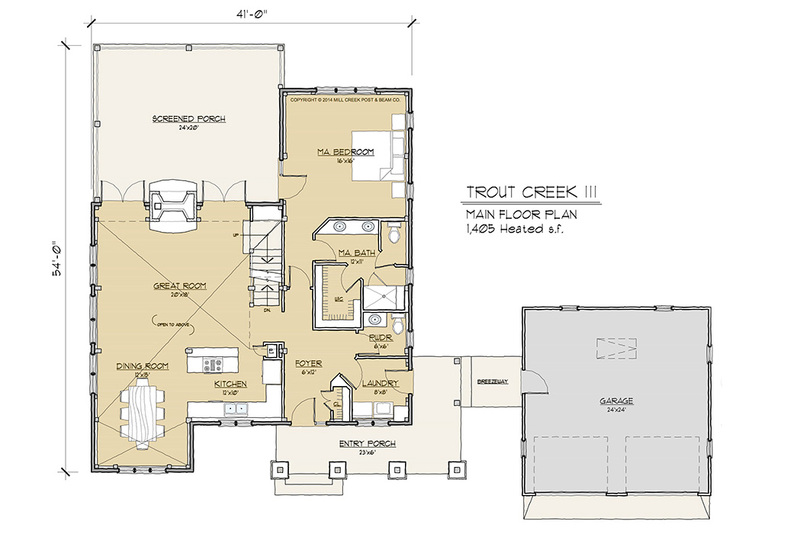 Feeling much larger than the square footage indicates, half of the house is a great room combining the kitchen, dining, and living rooms into one large space. 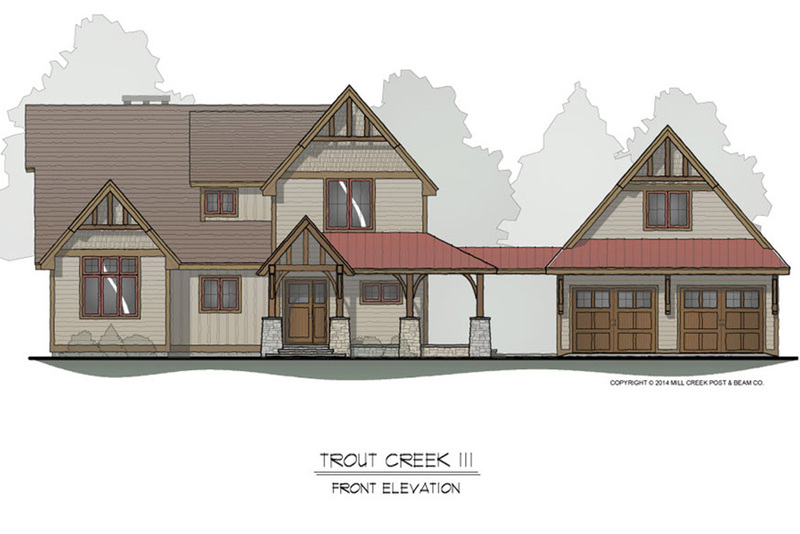 The remainder of the home creatively utilizes the volume of the timber frame to accommodate a generous master suite, laundry and powder room. 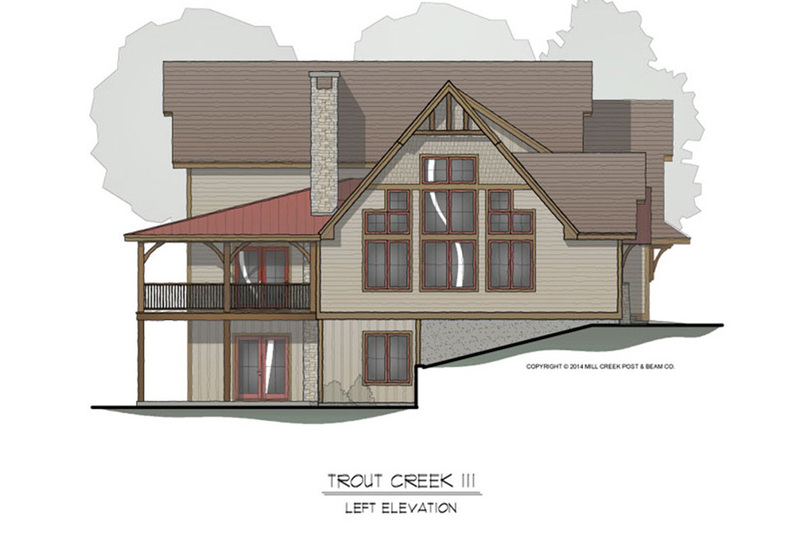 The upper level contains two generous bedrooms and bathroom with additional loft space. The lower level leads out to a private patio space, providing generous recreation space along with additional bedrooms and bonus space. 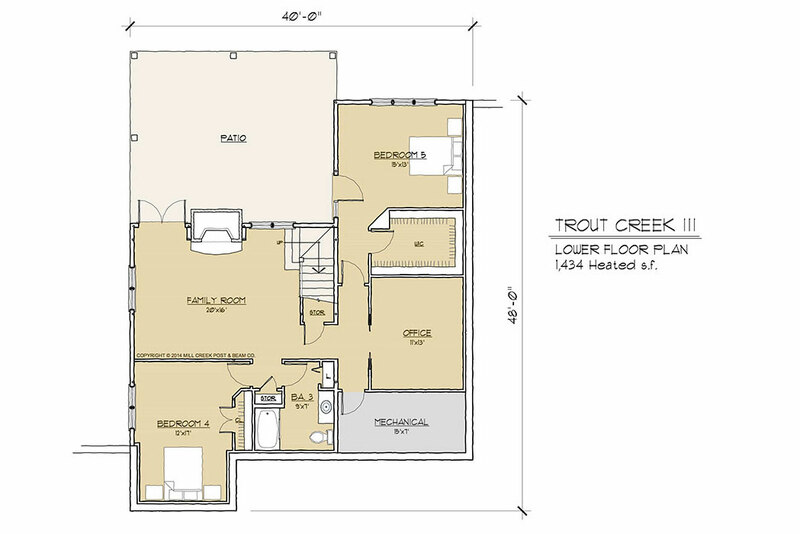 If your site isn’t conducive to a lower level or you would like to reduce the square footage, you can reduce it by 1,434 by removing the lower level.